Have you ever wanted a parrot but did not get one because you could not stand the squawking? Well, we have good news for you; this piece looks EXACTLY like a real parrot without the annoying sounds an actual parrot makes. 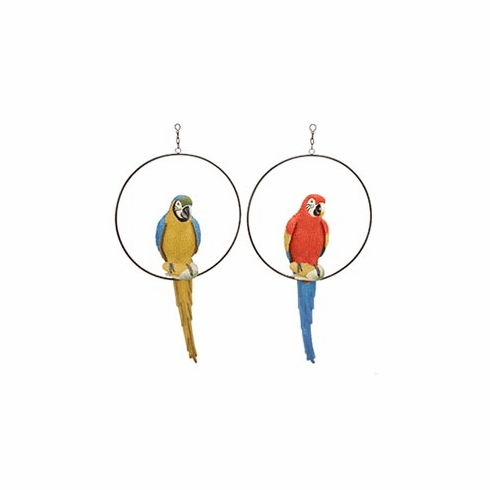 These multicolored parrots will make all of your guests jealous and make them want to purchase one for themselves. However, because we are limited in quantity, if you get yours now, your guests will not be able to purchase one and steal your mojo. The parrots come in either blue wings with a yellow body or multicolored wings with a red body.